This help note will guide you through the process of copying an organisation from one workspace to another. A Workspace is a data source where you store your organisation information. You can copy organisations between the Local, Network and Online Workspaces (in any direction). All of the organisation data will be copied with the exception of Report Bundles and Custom KPIs, as these features sit outside of the organisation. If you created Report Bundles and Custom KPIs in the organisation you are copying from, you will need to set these up again in the copied organisation. Open the workspace you would like to copy the organisation into (local, network or online). Go to Copy from a Local Workspace if you need to copy from a Local Workspace. 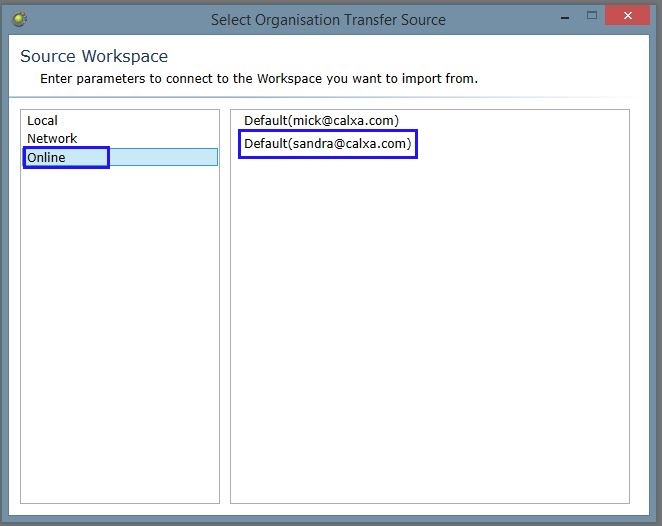 Go to Copy from a Network Workspace (SQL Server) if you need to copy from a Network Workspace. Go to Copy from an Online Workspace if you need to copy from an Online Workspace. 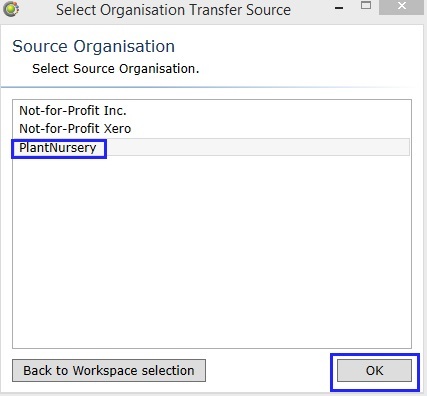 Select Local Source Workspace on the left side of the box, then click Open. 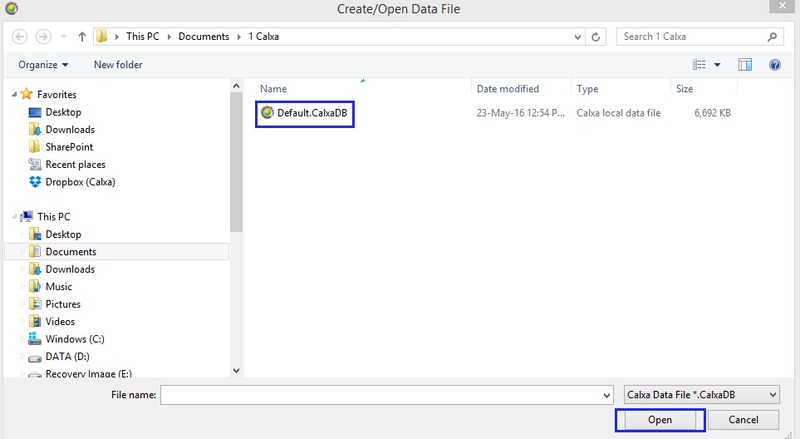 Browse to locate your Calxa local data file then click Open. 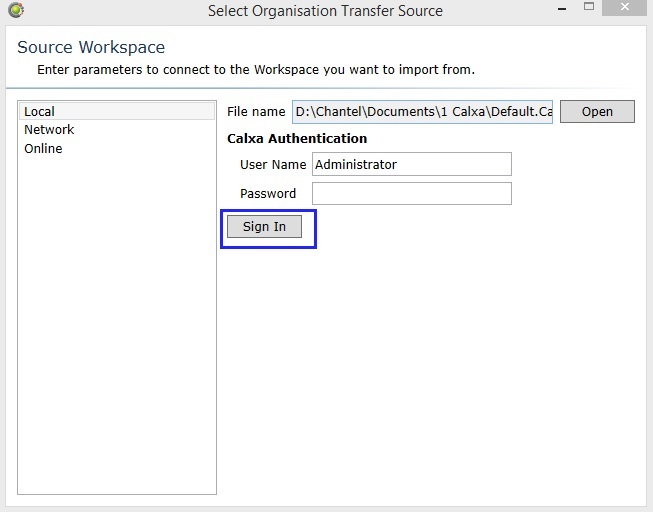 Enter your Calxa User Name and Password then click Sign In. Note: If you don’t know your user name and password try signing in with Administrator user name and a blank password. 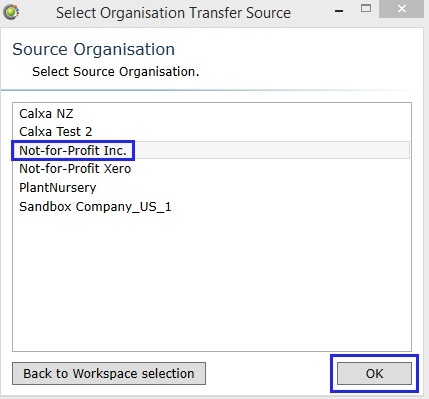 Select the organisation you would like to copy from the Source Organisation list then click OK. While the copy takes place you will see this screen. When complete, the organisation will appear in your Organisation List. 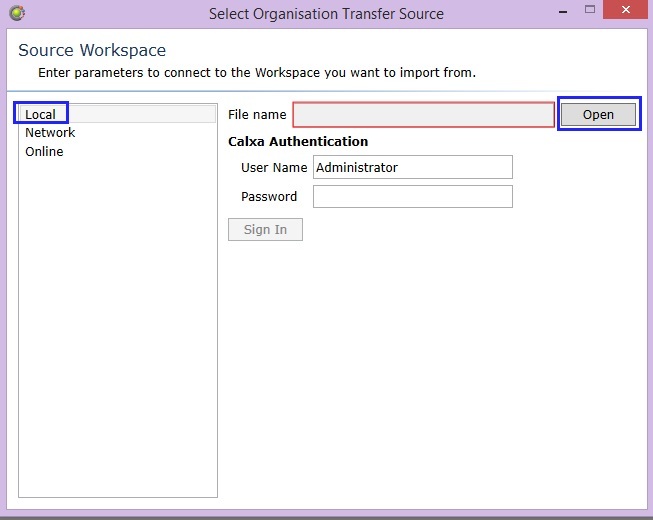 Select Network Source Workspace on the left side of the box. Select the Server name and Database name of the data source you would like to copy, using the drop down menus to browse. 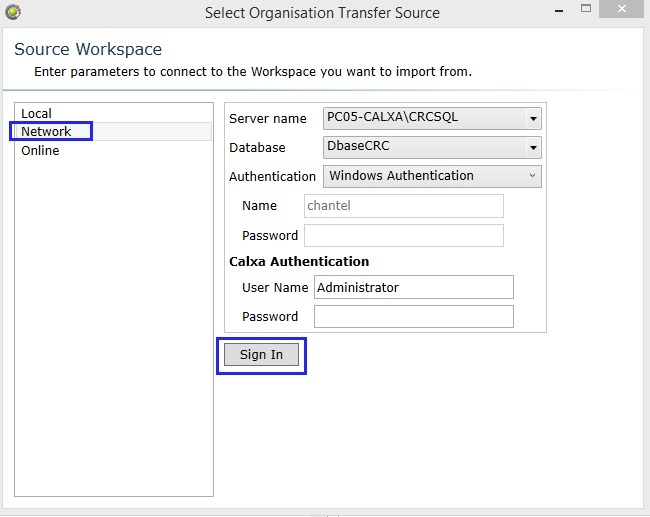 Select the appropriate Authentication method and enter your User Name and Password if using SQL Server Authentication. Note: most users will select Windows Authentication. Note: These details are the same details you would normally use to connect to the database you wish to copy from. If the Server name drop down doesn’t browse you can type the name in manually. 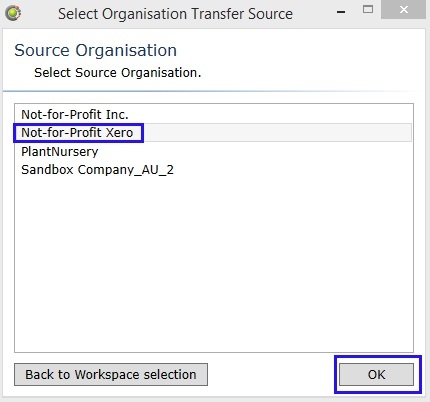 Select Online Source Workspace on the left side of the box, then select the online workspace you want to copy an organisation from on the right side. When complete the organisation will appear in your Organisation List.